Are You Guilty of Media Malpractice? Last week I attended Making Media Now at Bentley University, where, among other really interesting panels, I saw Andy Carvin talk about crowdsourcing. I was also really glad to hear Robert Greenwald of Brave New Films talk about making media that matters with Lisa Mullins of The World. Greenwald also screened a clip from his upcoming work on the war in Afghanistan. When asked by Lisa Mullins to fill in the sentence, “If you’re not using new media you are. . .” he answered, “. 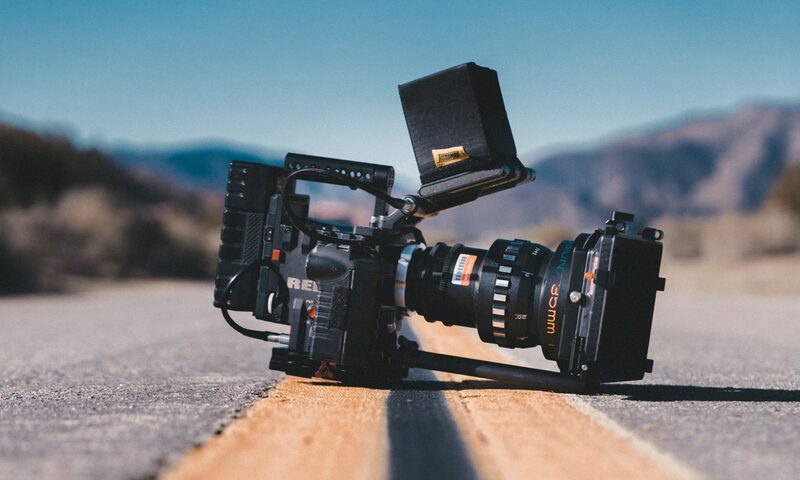 . . guilty of malpractice.” Greenwald described the new media scene as the opposite of Hollywood: “Suddenly the gatekeepers are gone.” With decreasing costs to make media, filmmakers can create quality work with fewer people on board. Greenwald says he takes an “if you build it they will come” approach – starting with a 2-minute version of a film he wants to make, and finding an audience that will support it. I’ve been waiting, quite nervously, for the return of Battlestar Galactica in January. It’s been so gosh darn long since the end of the first half of season 4 – what if I don’t remember what happened? Lucky for me I can still Catch the Frak Up. At around the two-minute mark, I had to pause, take a few deep breaths, and restart the video. Two men just kissed – in SPACE! Hoshi and Gaeta are not particularly surprising choices as gay characters (Lt. Gaeta had a rather puppyish attachment to Gaius Baltar early in the series). My first reaction, after decades of waiting in vain for a gay relationship on Star Trek, or really anywhere in American spacefaring drama (I hear Torchwood is very progressive, but it’s still British), was pure joy. Two actual male characters, one of whom has been integral to the storyline, kiss in a non-sensationalized moment on screen. Can anyone think of another show that has done that? I can’t even think of another male-male kiss in space, let alone one that uses existing characters. But as with so many great gay moments in pop culture – there’s a little bit of disappointment mixed in with that joy. The gay kiss isn’t happening on the show proper, but on a webisode that regular viewers can watch or not watch as they choose. If the relationship had been a part of the intricate plot of the main show, it would be impossible to ignore, since it is nearly impossible to skip an episode of Battlestar Galactica and still get what’s going on. It seems that from Jane Espenson’s commentary, the webisodes were some of the last scenes filmed on the BSG set, which leads me to believe that the relationship will not be portrayed at all in the final ten episodes. So what do you think? Historic moment in science fiction or a cop-out? If Star Trek was on the air today, might they have unrolled a character arc much like this one on the web, and thus had the opportunity to test their viewers’ reaction before moving it onto the regular show? Can webisodes, extended scenes, and other out-of-show content play in creating a more inclusive narrative – or do they make it too easy for producers to bury anything that might not sit well with audiences? Tuesday night, as I skyped into Teague’s election night party taking place a few hundred miles from my own living room. . . two things hit me: (1) I’m a dork for using skype to attend someone’s party and (2) That won’t be true in 2012. Right now, across the country, pundits are figuring out exactly what “lessons” we should learn from this election. The biggest lesson of all? Smart media is here to stay. The NY Times places a heavy emphasis on the role of the internet in this race. I feel the best way to sum up the “sea change” is that whereas in 2004, there was a campaign, and a campaign on the internet, today, the campaign lives through the internet. Technology is moving faster than the election cycle. It’s foolish to think that in four years, kids will still think that YouTube is cool. The internet isn’t just a nifty gadget, it’s a country unto itself – and if you don’t know the right customs and etiquette – you’ll get laughed out of the game. The big question now is whether President Barack Obama (wow, I will never get tired of typing that), will continue to use social media to govern. Tweets from senior staff? A presidential YouTube channel? The possibilities are pretty endless – it’s all a question of how the Obama administration (again, never gets old!) will choose to engage with constituents. What kinds of information do you want from the federal government? How do you want them delivered? Now that this election is over, what do you want to say to the people about to take power?